Install Olyset netting on all windows – to prevent mosquitoes from entering your building. Eliminate standing water – ensure unused tyres, empty cans and plant pots are removed/upturned so that rain water does not collect and create potential Aedes mosquito breeding sites. 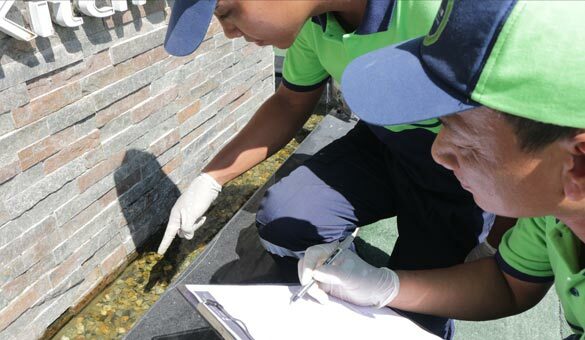 Clear debris from gutters – leaves and general detritus may block gutters and drains creating stagnant pools of water and potential Aedes and Culex mosquito breeding sites. Treat standing water – Where the potential collection of rainwater may occur, such as outside water containers and plant pot bases, treat with larvicide to prevent mosquitoes from breeding. Check outside areas – make sure equipment and outside stationary machinery does not contain standing water. Chlorinate swimming pool – ensure pools are chlorinated on a monthly basis. Effective mosquito prevention is all about knowing where to start. Mosquitos are generally found in vegetation close to stagnant water where their larvae feed and develop. 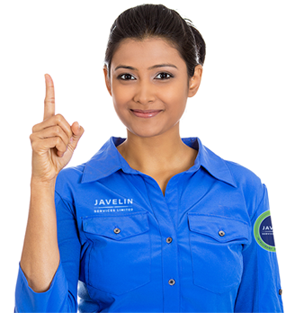 Your Javelin technician will conduct a detailed site inspection, looking for these potential larvae breeding sites and either remove or treat the affected areas. 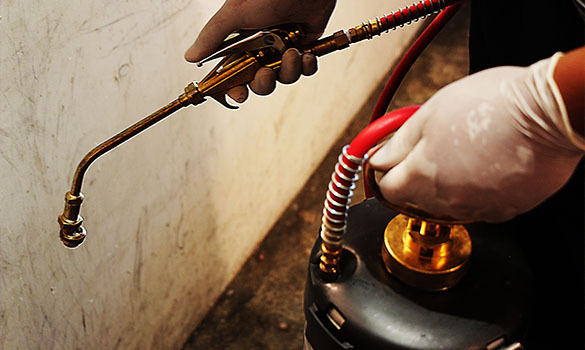 All our inspections are followed up with a survey report and a list of recommendations to help you prevent mosquito infestations in the future. This treatment stops larvae developing into adult mosquitoes by interfering with their moulting process. By treating breeding sites, not only do you stop the current larvae from emerging, but you also stop the development of any future mosquito larvae as well, so adult populations can be significantly reduced and this will decrease the risk of an infestation. This treatment eliminates adult mosquitoes and hence stops the breeding cycle. 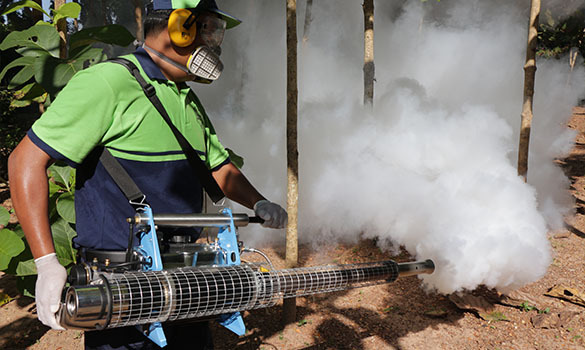 If possible, fogging will be carried out at peak mosquito activity times, ensuring the most effective treatment. There are two types of fogging, water-based thermal fogging and diesel-based thermal fogging. 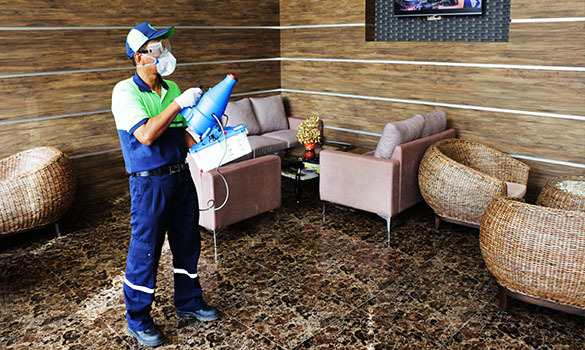 ULV/Misting treatment eradicates adult mosquitoes that are living inside rooms and buildings. ULV/Misting equipment emits a mist of tiny particles, allowing the active ingredient to hang in the air for a longer period, increasing the likelihood of adult mosquitoes encountering the chemical and heightening its efficiency. Mossoff is an all-natural, non-toxic, pesticide-free mosquito repellent. Mossoff contains essences of lemon grass and eucalyptus, so it acts as a general air freshener, as well as a highly effective mosquito repellent – perfect for hotels, offices and homes. When inactive, mosquitos will generally rest in quiet corners and undisturbed areas along walls and behind furniture. Treating these areas with an IRS (Indoor Residual Spraying) treatment will help to eliminate adult mosquitoes from indoor areas.